HEX is a project completed in the ISU Computation + Construction Lab. The project aims at using digital software to design a stackable facade piece, that could be casted from a 3D printed mold. 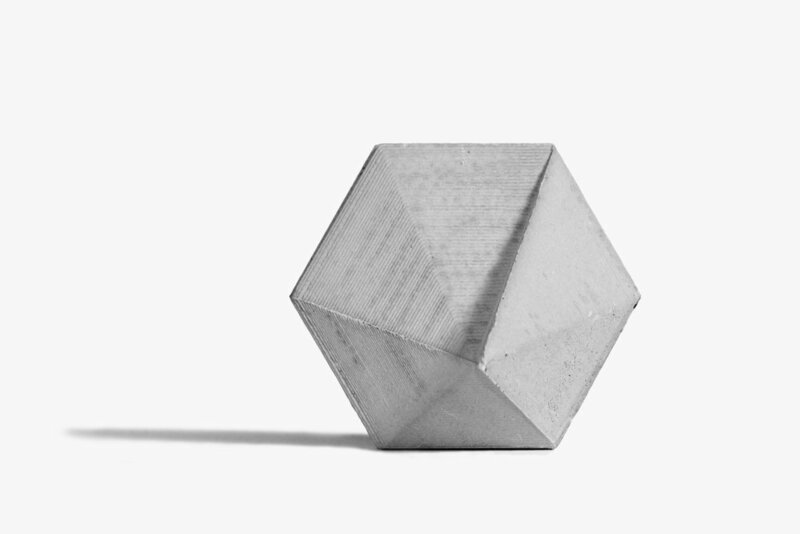 Our object is a hexagon with protruding geometries on either side, which was designed to study light and shadows, as well as study what it takes for an irregular object to balance in equilibrium, thus, resulting in the ability to stack. The piece was casted from a six part mold sealed together, with rockite as the small scale material. The second part of this project, was to scale this same design up to allow for the object to be casted from a CNC Routed mold. The material used for the CNC cast was rockless, quickcrete. Scaling a small 3" x 3" cast to a 1' x 1' cast, presents an array of problems, yet also provides an opportunity to understand and acknowledge all of the factors that are necessary in order for digital fabrication to move its way into modern construction methods. 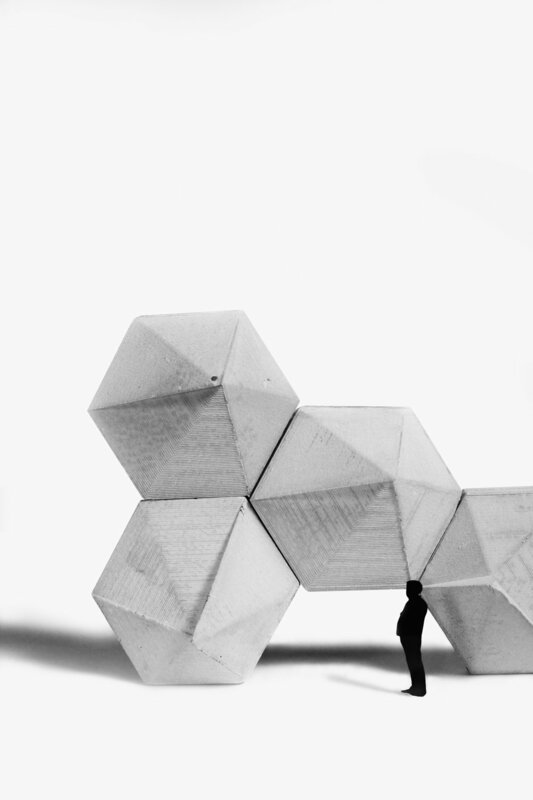 With this knowledge, HEX examines those ways in which technology can be incorporated into new architectural designs and facades.